The MCM cert is dead. So is the replacement MCSM and the MCA. That’s according to an email that was distributed tonight by Shelby Grieve, the Director of Certification Product Management. That’s pretty clear information right there. This from an email that came out at 10pm, the Friday of a long holiday weekend in the US. Microsoft appears to be attempting to bury this when people aren’t around, hoping that nobody will notice and that the furor will have calmed down some by the time people start checking back in on Tuesday. Attaining an MCM is no easy feat. There is a reason that there are only a couple of hundred people with that cert. Taking this away really pains everyone who has worked so hard to get it. Those who have given up many hours, and for some many thousands of dollars. I guess it just means being a part of an exclusive club now, one that will not get any larger. That is a really sad thing, because there are people out there that should have this cert, that are actively working towards it, and now that is going to be taken away. Jen Stirrup (blog | @jenstirrup) has created a Connect item “Please don’t get rid of the MCM and MCA programs“. If these are certs that you have any interest in at all I highly recommend you go and vote it up. Being honest, it won’t mean much, but it might at least let folks understand the deep level of dissatisfaction its killing has created. If you had told me a year ago that I would attain the MCM certification for SQL Server 2008 I would have called you crazy and yet here I stand, a newly minted Microsoft Certified Master. I first learned about the MCM back in 2010 when Brent Ozar (blog|twitter) wrote about his journey to becoming an MCM. At that point it was still a three week $18.5k brutal experience. At the PASS Summit in 2010 Joe Sack (blog|twitter) gave a chalk talk about how he, as a program manager, was bringing big changes to the MCM certification and making it more accessible. This created a huge amount of buzz around the program. Something that had really seemed unattainable for a great many folks outside of Microsoft (you try getting your company to give you three weeks away for training let along having them pay for any of it) was suddenly achievable. When Robert Davis (blog|twitter) took over the program from Joe he continued as the public face of the certification and has worked very hard to keep it front and center with people. The MCM: SQL Server 2008 now consists of a written knowledge and lab exam and costs just a fraction of what it did before. If you have taken any of the other Microsoft certification exams you are kind of used to the exam format where they seem to be testing your ability to remember certain facts that you would have had to read in a book somewhere. There’s little in the way of independent thought processes that come along with gaining your SQL Server MCTS or MCITP certifications. Paul Randal had a pretty good rant on these lower level certifications. The MCM exams are very different from this. The knowledge exam follows the same format as the lower levels with multiple choice questions however the questions are a lot more challenging. Rather than seeing if you can remember the syntax of a particular query you will get asked a question that has a broad scope and you have to take all of the information and provide the best answer (and you may have more than one correct answer, you just have to be sure that it fits all the criteria in the question). The lab exam is a whole other beast. While this exam is very difficult it is, by far and away, my favorite exam to have taken. It’s real world SQL Server. You aren’t getting asked off the wall questions and you aren’t expected to recall that obscure syntax as Books Online can be used as a reference tool. 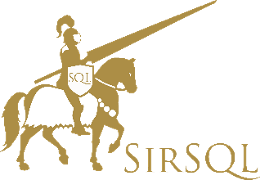 I can’t go into any of the scenarios for obvious reasons, but be aware, if you’ve been working with SQL Server for a long time then you’ve probably run into a lot of the things you’ll be tested on. The questions will challenge you, you will need to carefully read the details of what’s required, but you won’t find any trick questions. I wish all exams could be this way (although I know with all the work that it takes to set them up that it’s just not possible). On a more personal note this is a big deal for me. When you’re out in the world and job hunting and don’t have a degree to your name you tend to get stuck at the back of the queue. Now I might still be near the back of the queue but at least I can have confidence in my knowledge and ability to work with SQL Server. A huge thanks go out to my good lady Cami (twitter) who not only had the belief in me that I could do this but also gave me the serious kick in the pants that I needed to actually get off my read and get it done.